Just like video games based on movies, I've always felt some aversion to boardgames based on other existing properties. 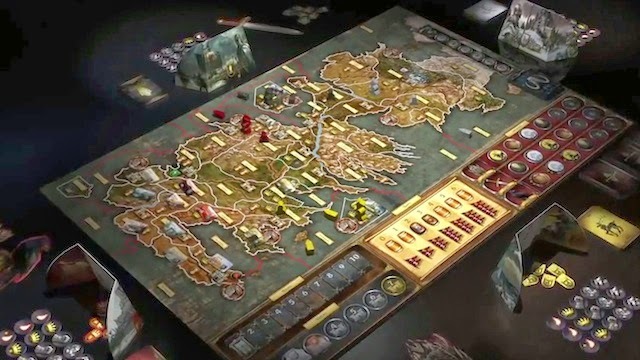 There are exceptions: the Battlestar Galactica boardgame, Dune, and this, the Game of Thrones Boardgame. I recently played this with some friends and was surprised with the exceedingly clever combat mechanic where you must plan your movements in advance (openly, with some methods of subversion) and everyone takes their turn at the same time. This means you have to anticipate what your opponent will do and take the necessary steps, all while trying to accomplish your own goals. The Boardgame does not contain any spoilers other than the fact that some characters exist. If you have finished the first book or the first season, you're golden. No spoilers for you. For this reason, I recommend this game to any fan of Game of Thrones.